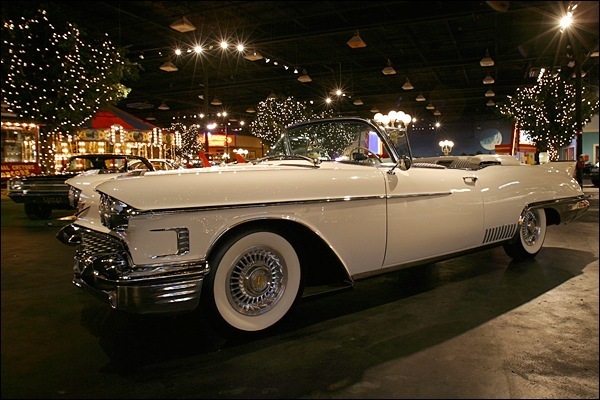 1958 Cadillac Eldorado Biarritz A fresh look came with the restyled 1957 Eldorados, the most luxurious and fashionable models yet to bear the name. 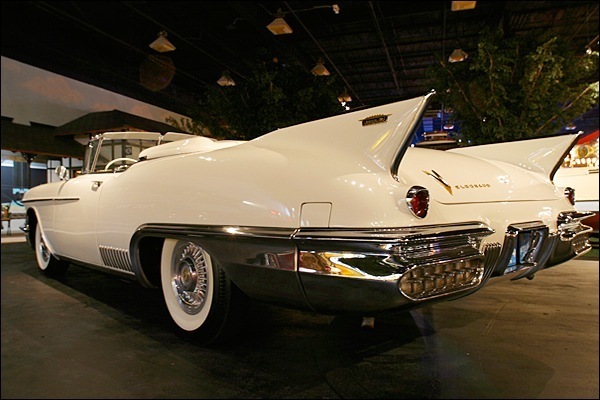 Along with the bold new exterior appearance of the entire 1957 line, the Biarritz convertible and Seville hardtop coupe were treated to their own exclusive decklid, bumper and tailfin design, this time a softly rounded deck and fender combination with dagger tip fins. 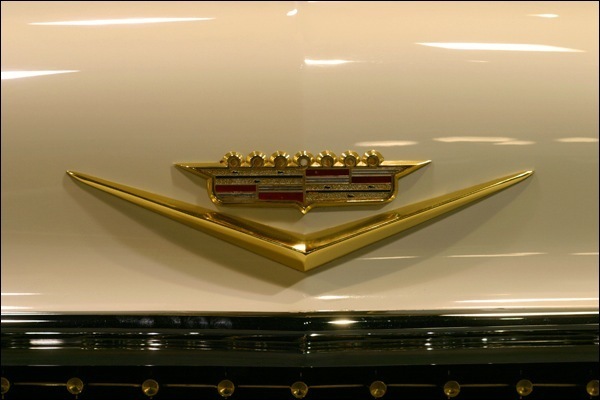 The Eldorado line remained basically unchanged in 1958, as general motors observed its 50th anniversary. 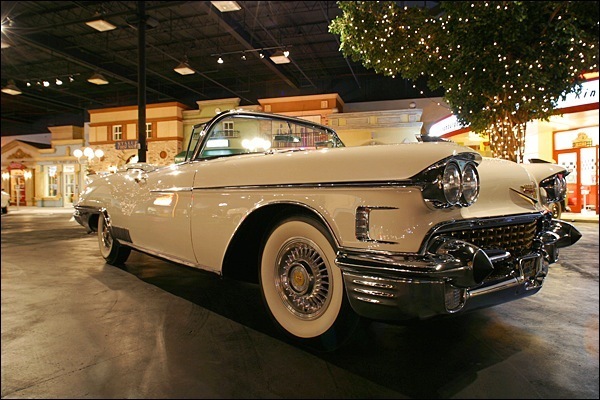 Among the characteristics distinguishing the 1957 and 1958 Biarritz and Seville models, was the switch to quad headlights, with 4 5 3/4 – inch sealed beams replacing the two 7 inch units used the previous year. 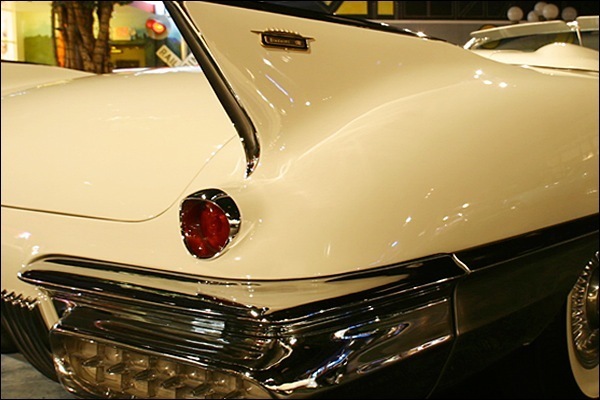 The 1958 Eldorado’s lower rear body panels were further embellished with 10 vertical chrome strips, and new emblems were used on the tailfin and trunk lid. 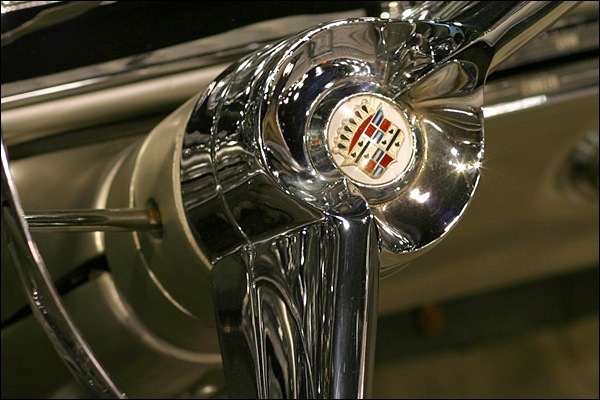 Under the hood, the Biarritz gained in horsepower once again, with the addition of a third two-barrel carb, Cadillac’s version of Tri-Power, giving the 365-cubic-inch V-8 an output of 335 horsepower. 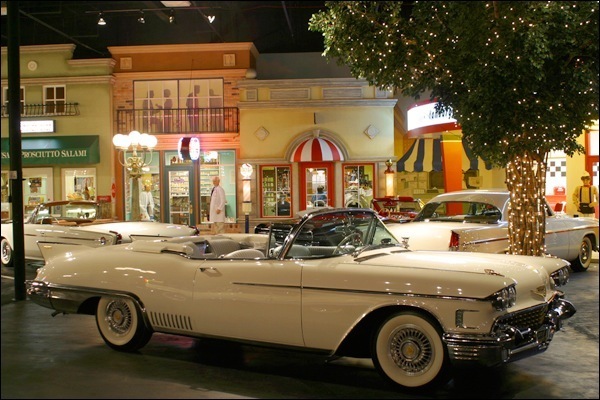 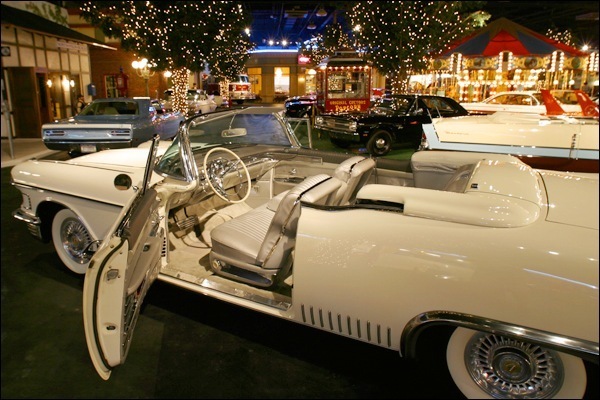 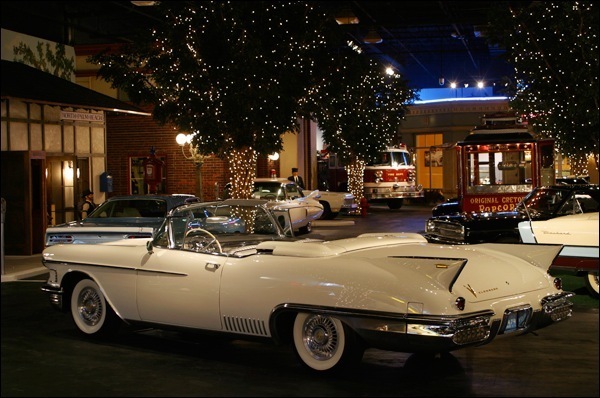 The interior of the 1958 Cadillac Eldorado Biarritz was one of the most lavishly appointed in Cadillac’s postwar history. 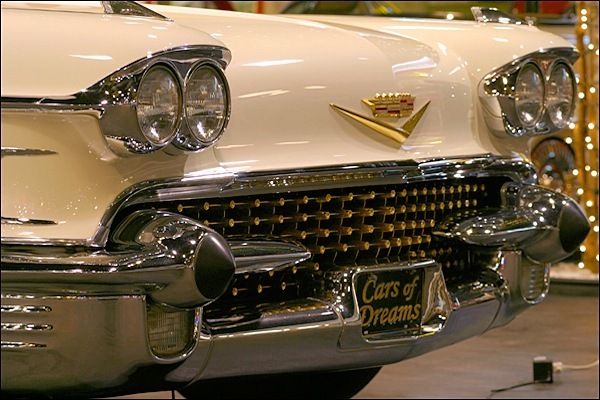 A large steering wheel framed a wide and heavily chromed instrument panel on the driver’s side, while the front seat passenger faced equally bright dashboard trim containing the radio. 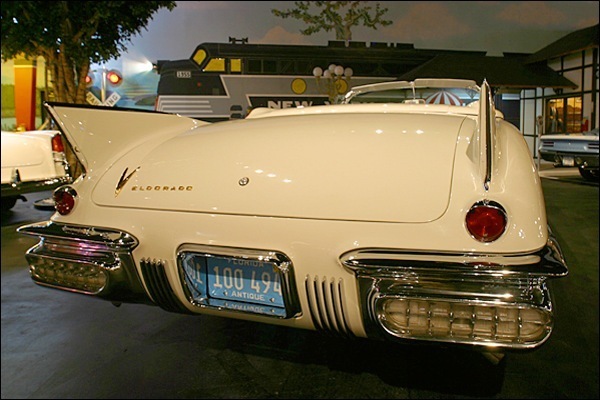 Following a styling trend that began with the 1953 Eldorado, the dashboard’s brightwork wrapped around into the door panels. 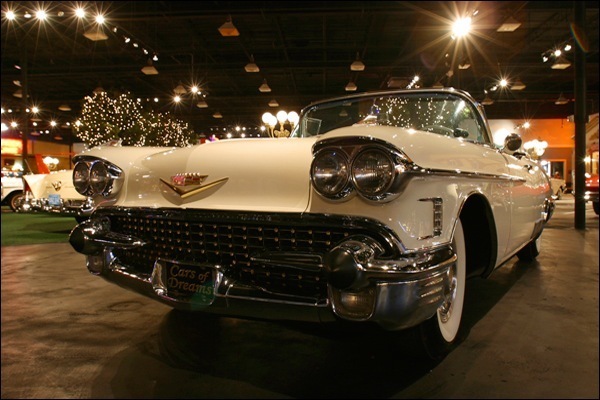 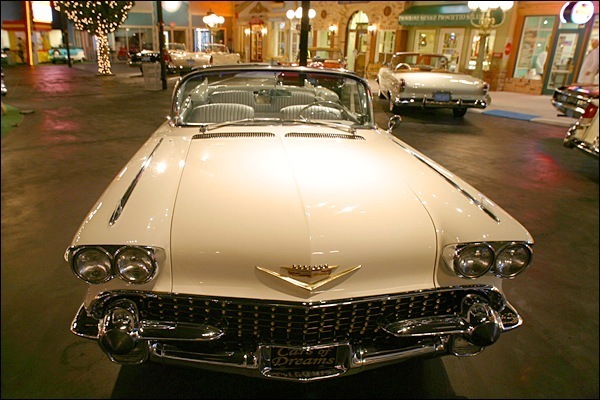 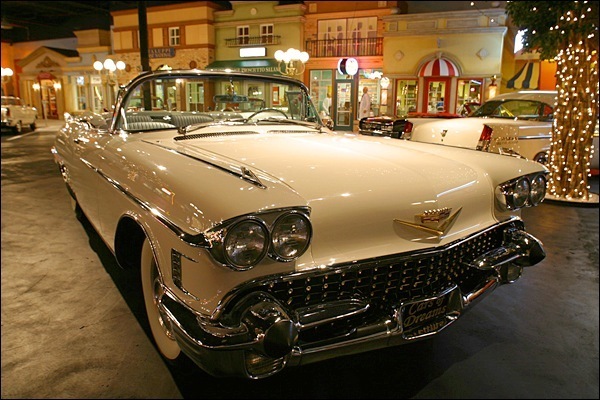 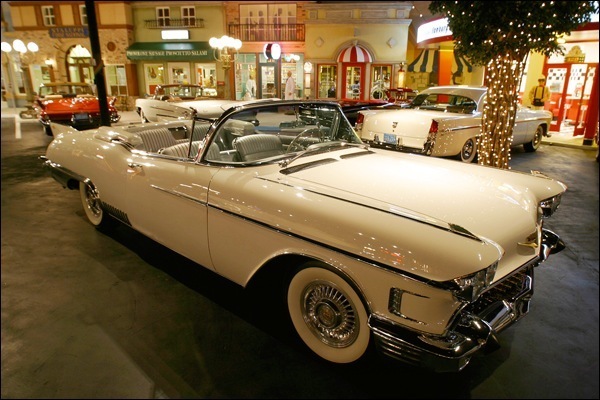 The 1958 Eldorado’s would be the last rear wheel drive Cadillacs to have totally distinctive styling all their own. 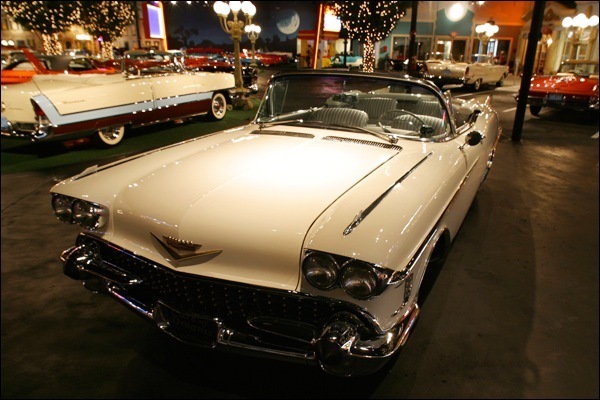 Production of the convertible totaled a mere 815 in 1958, second only in limited numbers to the Eldorado’s introduction in 1953.